plant is edible raw but better when cooked/boiled. top-half of stems can be harvested, allowing the bottom to grow a new shoot. plant has a salty taste. plant is best when gathered before flowering. the variety in Ontario is Red glasswort (Salicornia rubra). 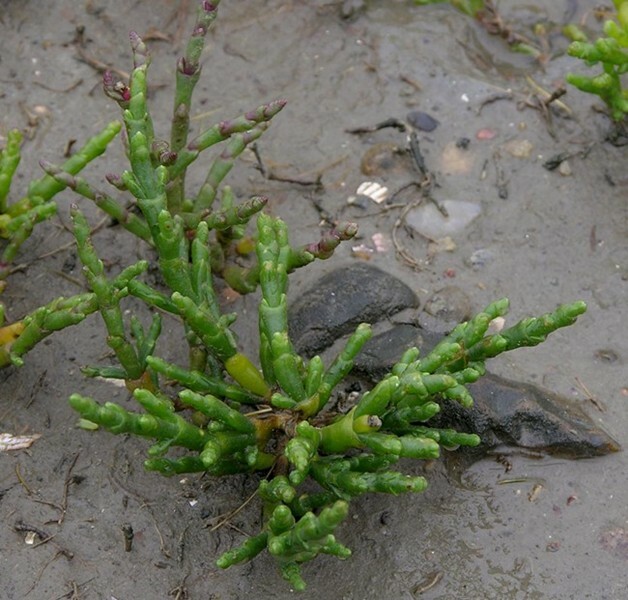 grows in saltwater marshes and in the salty soil near high-tide areas.